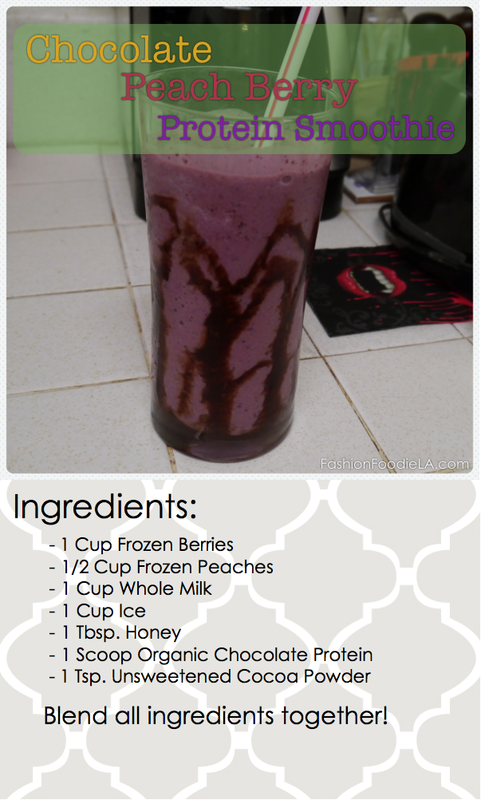 This Chocolate Peach Berry Protein Smoothie was inspired by Fitness/Lifestyle blogger Taralynn of UndressedSkeleton. She is in love with making protein shakes and smoothies. Her photos are so beautiful (I need a better background! My counter is not cutting it!) and her recipes are fantastic! This is my first try at making any kind of protein shake. I started by going to Sprouts grocery to get Tera's Whey protein powder. Protein powder is necessary for any protein shake, but I have never had any friends who regularly have protein shakes, so I have not had anyone to turn to to ask. Until I started reading Taralynn and her fitness blog. Although she is not a friend of mine yet, she is a part of my life because I love to read her blog a few times every week. She recommends this protein powder and it is really not too bad. 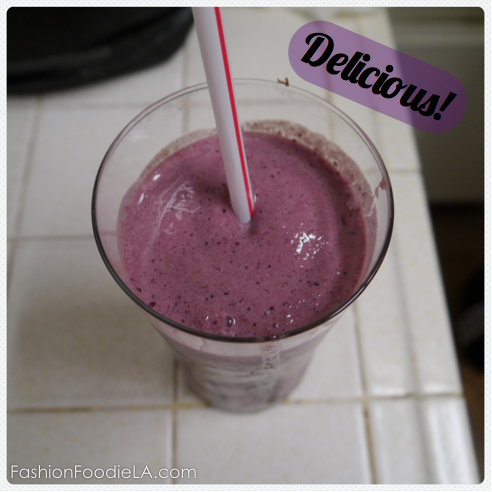 I have created this recipe from ingredients I found at Sprouts and I used measurements from Taralynn's Chocolate Strawberry Protein Shake and her Peachy Strawberry Protein Smoothie to help me create my very first smoothie recipe. Without her this smoothie would not have been possible. She recommended the best protein powder and gave me a reference to use when I wanted to create my own. I am so happy with my first smoothie! Thank you Taralynn for being so inspirational!